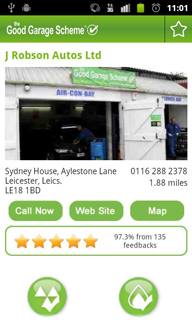 Within months of the launch of its successful iPhone app, the Good Garage Scheme is proud to announce that it is able to offer the same great product to all Android app users. 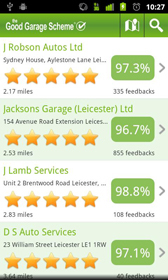 The new Android app helps motorists find a reliable local garage anywhere in the UK and has all of the superb features of the iPhone app including handy tips on saving fuel and caring for your car. After only seven months on the market, The Sunday Times' writers and experts recognised the Good Garage Scheme iPhone app as a "Money Saving App for Motorists" (The Sunday Times - 10 July 2011) and then went on to feature it in The Sunday Times' The App List, a list of the Top 500 Apps in the World! Rachel Greasby, General Manager of the Good Garage Scheme, is proud of the help on offer to both motorists unsure of where to take their cars as well as those stranded with a broken-down vehicle. “The Good Garage Scheme is like having a friend in the know” she says, “often at a time when you need a friend most." “The mobile app is the ideal friend in this situation. 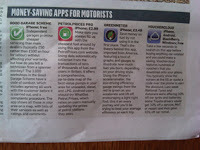 It finds your nearest Good Garage Scheme member and helps you get in touch. Everyone needs a friend like that!” says Rachel Greasby. 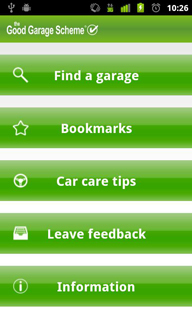 Downloading the new app means you are never far away from a garage you can trust and it won’t cost you a penny. 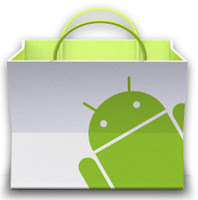 Visit the Android Market and download your free Good Garage Scheme app.